Why Convert M4P to MP3? M4P format is known as "protected AAC" and if you purchased the music from Apple's iTunes music Store, it can be listened through the iTunes or an iPod only, as it is Digital Rights Management copy-protected. As a result it can be played only by authorized users, who have permission, in the concrete it is a person who purchased M4P file. To convert M4P to MP3 the special software called WMAConvert should be used. How to convert M4P to MP3? 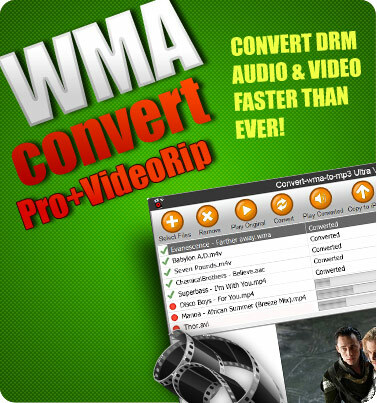 You can convert M4P to MP3 legally and quickly using professional WMAConvert tool. WMAConvert is wizard audio converter software, which makes M4P to MP3 conversion and works excellently on Windows. All you have to do is download M4P to MP3 converter and install it. After quick launching the software will suggest you to select an output file and destination for files converted from M4P to MP3. Besides MP3, the tool supports audio conversion to unprotected wma, wav, aac and other audio formats. M4P Converter is using a special technology, that simulates audio burning and ripping, so it is not just bypassing DRM restriction, but converts an audio track into unprotected songs, so you can enjoy the music on any device in few mouse clicks! Songs purchased from Napster, iTunes Store, Yahoo Music, Rhapsody, AOL Music, Sony Connect, iMusica, Wal-Mart and other services are DRM protected and can be played only with several players. M4P is not supported by mobile phones or PC, so you could not play them on any device except iPod, iPhone or iPad . If you want your music be available for all devices you should use M4P Converter to convert them in unprotected MP3, WAV, WMA, AAC, OGG. 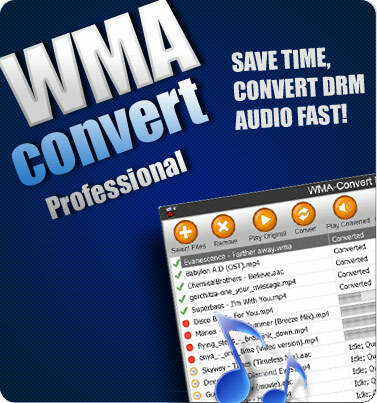 This M4P Converter removes DRM protection from copy-protected M4P, WMA, AAC audio files. With this Converter you will convert M4P to MP3 to play on iPod, Zune, PSP, Sony Walkman, Creative Zen, San Disk and any other MP3/MP4 audio players. Also audio converted from M4P to MP3 can be played on mobile phones like Nokia, Sony Ericsson, Nokia, Samsung, LG, HTC, BlackBerry. and portable media players, as well as on different Android Mobile Devices and Windows Mobile devices. WMAConvert software can legally remove DRM copy protection from iTunes M4P music and convert M4P to MP3, WAV, WMA, OGG and other formats. 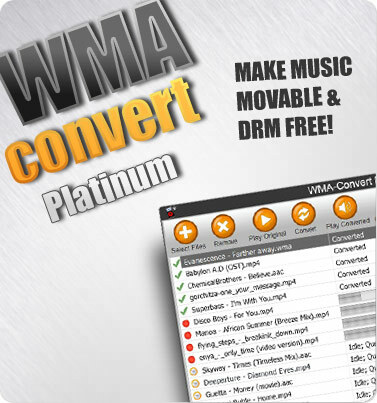 Withing three easy steps you will convert M4P to MP3 with WMAConvert Audio Converter for Windows. — Easy for install and use while user-friendly interface makes it even more easier.